My client is a quality building company that builds and renovates residential and commercial properties throughout London and Essex. The company has been built on reputation, with a strong focus on customer services and attention to detail. A new and exciting opportunity for an Estimator is now available within our fast growing team. As a company we take on works of all sizes ranging from £10,000 – £2m. If you believe you have the necessary skills that fulfill the criteria below then please contact us. 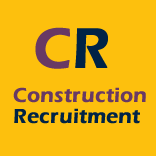 We are looking for an experienced team player to prepare and cost accurately tenders mainly within the residentialsector, a broad knowledge of this area is essential.